Timothy Boosinger, provost and vice president for academic affairs, has announced he will retire from Auburn University in early 2018. 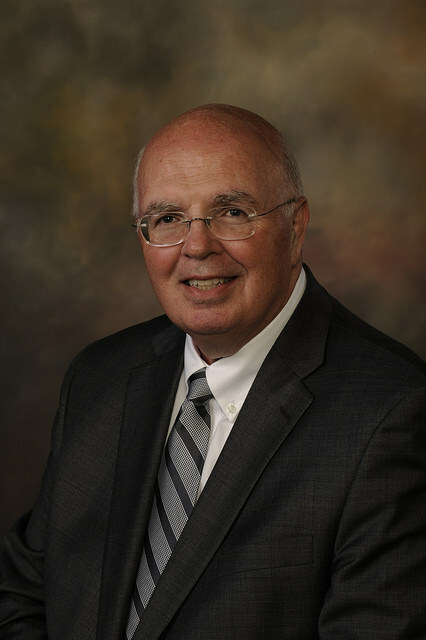 Prior to his current position, Dr. Boosinger held academic and administrative positions at the College of Veterinary Medicine, including serving as dean from 1995 to 2011. Dr. Boosinger was named provost in 2012 after serving as interim provost for a year. Working with the university’s stakeholders, Dr. Boosinger has implemented multiple programs and initiatives that have strengthened the institution’s capacities and advanced its land-grant mission. Dr. Boosinger led the successful reaffirmation of the university’s accreditation by the SACS Commission on Colleges in 2013 and coordinated the development and implementation of the university’s 2013-18 strategic plan. Additional accomplishments include significant increases in the university’s graduation and retention rates; the development and implementation of the institution’s strategic budget initiative; creation of the university’s first strategic faculty hiring initiative designed to advance Auburn’s interdisciplinary research; efforts to enhance the campus climate to better promote the institution’s values of inclusion and diversity; and more than $220 million in new and updated academic facilities. Dr. Boosinger joined the Auburn faculty in 1983 as an assistant professor of pathobiology in the College of Veterinary Medicine. After a decade of service to the university’s teaching and research mission, he was named associate dean for academic affairs in 1993 and served as dean of the college from 1995 to 2011. Under his leadership, Dr. Boosinger articulated a strategic vision for the college to become one of the top veterinary programs in the nation. “Auburn is a better place because of what Tim accomplished as dean and provost. He leaves after distinguished service to this institution and with Auburn on a solid foundation to excel even further. We appreciate his leadership and commitment through the years,” said President Steven Leath. His education includes a Doctor of Veterinary Medicine degree in 1976 and a Ph.D. in pathology in 1983, both from Purdue University. A celebration of Dr. Boosinger’s distinguished career at Auburn University will be held in early 2018. A committee will soon be formed to begin the search process for his successor. Original Story AU Office of Communication and Marketing.